A 35 Year old female patient came to my clinic with a chronic pain related to the upper premolars, on examination I found the following. 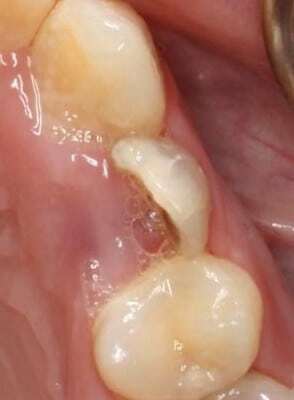 A fractured cusp of the First premolar, in addition hyper plastic tissue covering the tooth due to the chronic condition. From my Perspective and from the x-ray it seemed unrestorable. 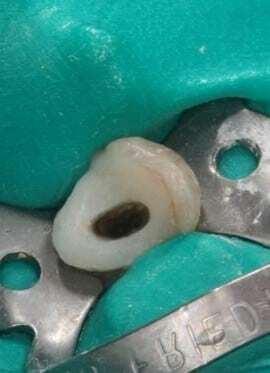 So I was faced between extraction and implant or try to save a hopeless tooth. The decision was left to the patient, the patient requested that the tooth be saved, thus from her request I as A dentist should do what . Because of the hyperplastic tissue covering the tooth I really didn’t have an accurate idea about the tooth nor did I have proper visualization of what is remaining of the tooth. After removal of the hyper plastic tissue and cauterization the tissue. 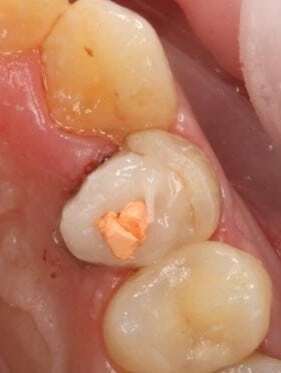 The Pulp tissue was still intact but it was infected and was removed. 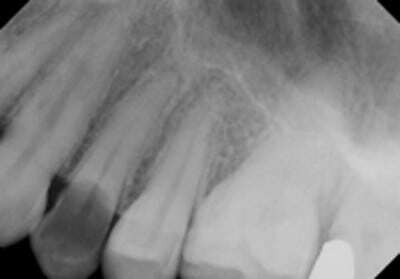 The prognosis seemed much better now and root canal treatment was indicated but because of the deep cavity isolation was almost impossible. So building up the tooth was the best thing to do. 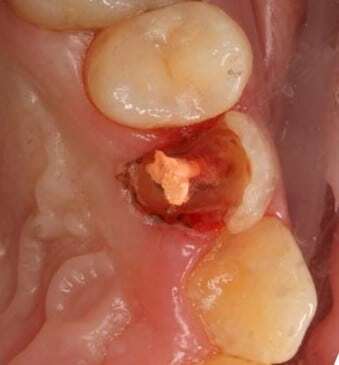 I first did an initial clean, irrgation and some gutta percha to insure the canal will not be blocked by the composite . 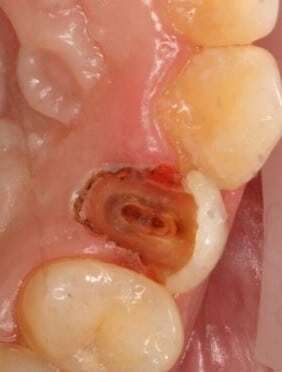 Now The rubber dam around the premolar with perfect isolation, but because the patient got tired and so was I. we ended up filling it with a cotton and temporary filling and the patient left with a smile. If you guys were in the same position I was, What would have you treated it? the same ? or different?